Just be happy! : I am in! Back in February of this year, I was contacted by Sarah from Quarto Publishing Company through Flickr. She asked me if I was interested in having my work published in the crochet gallery of Jan Eaton's book "The NEW Encyclopedia of Crochet Techniques" and I didn't have to think twice to say YES! So she told me what pictures she was interested in and there were about 5 of them. When I went to look for the original files to e-mail them to her I discovered that I had deleted them. So I was in trouble, I didn't have the files big enough to make to the print form of the book. I didn't give up. You know what I did? I made the items again, because I didn't have them on hand anymore. I take pictures of the things I make before I send them to their new houses, so I had to whip up some hats and hope I could photograph them in a way she liked them. 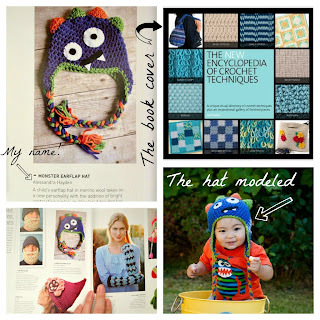 Well, the book just came out and I found out what picture was chosen and it was my monster hat! 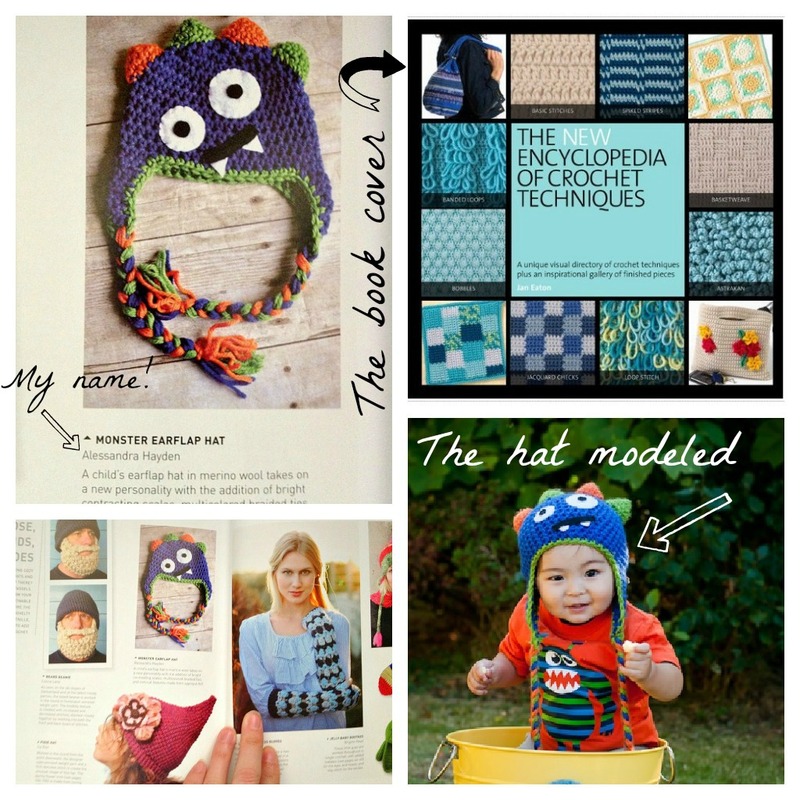 I know this is not a big deal for many people, but for me as a crochet designer, it is a big deal to have my work published, I am so proud of the things I make and it's an honor to have my work featured in Jan Eaton's book. I just want to thank you for being with my in this journey and for all the kind words I receive from you guys. Thank you! That is definitely super cool. Especially when someone else is asking to publish you in their book! How exciting! I am so happy about it. Thank you!